Guy proposes to his girlfriend while the two of them are filming a video for his YouTube channel. Tyler Safford (the guy) and EB Krawczyk (the gal) met on the Bumble dating app in July 2015. 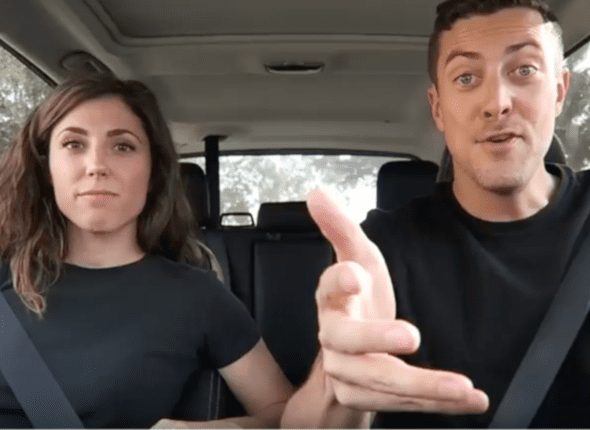 They achieved a degree of Internet fame when a video of a “Car Karaoke” battle between them went viral. So Tyler decided to recreate that moment with another Car Karaoke video, but this time, surprise EB with a proposal during filming (see clip embedded below). Tyler managed to get the news to EB’s brother and parents, who were able to fly out to California, from Tennessee and Texas respectively, to be a part of the proposal. After telling EB that they were filming a carpool karaoke video, he let her sing first. She chose “Natalie’s Rap” by the Lonely Island (a song that was bleeped out for a majority of the lyrics). For his first song, Tyler and EB’s brother sang Blink-182 “First Date” together. EB was already pretty shocked by her brother’s presence. After letting him out, Tyler asked if EB wanted to sing another song, but she declined, already suspicious that something was going on. For his next song, Tyler sang “That’s What I Like About You” (by The Romantics) with EB’s parents. After letting the parents out of the car, the couple sang “Love is an Open Door” from the animated movie Frozen together. At the end of the song, Tyler proposed to EB and got the engagement ring out of the center car console. 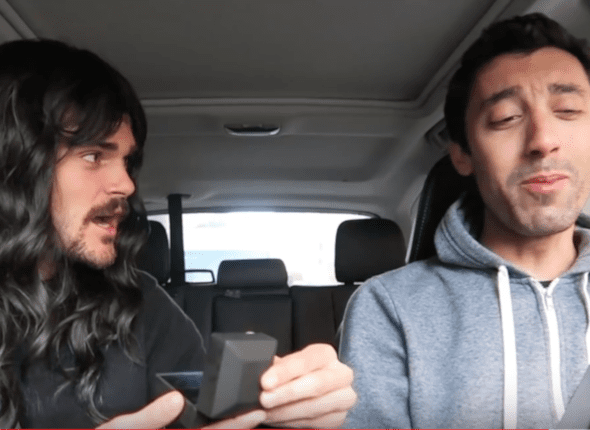 If you’re not a YouTuber like Tyler, your proposeé might get suspicious when you ask to film a carpool karaoke video. And if you decide not to tell them about the camera, you better make sure you hide it well. It is also important that you can carry a tune: if you’re tone-deaf, this is not the best way to document the beginning of your engagement. Tyler didn’t get the actual proposal on film, as the camera shut off just before the crucial moment. Make sure your camera is operational and fully charged for the actual proposal, or you might have to get your friends to reenact the big moment (see below). Also, pick out which song(s) you will be singing ahead of time and coordinate with any back up singers so they know what they’re doing. This is the kind of production that requires showbiz chops. Or at least an outline.